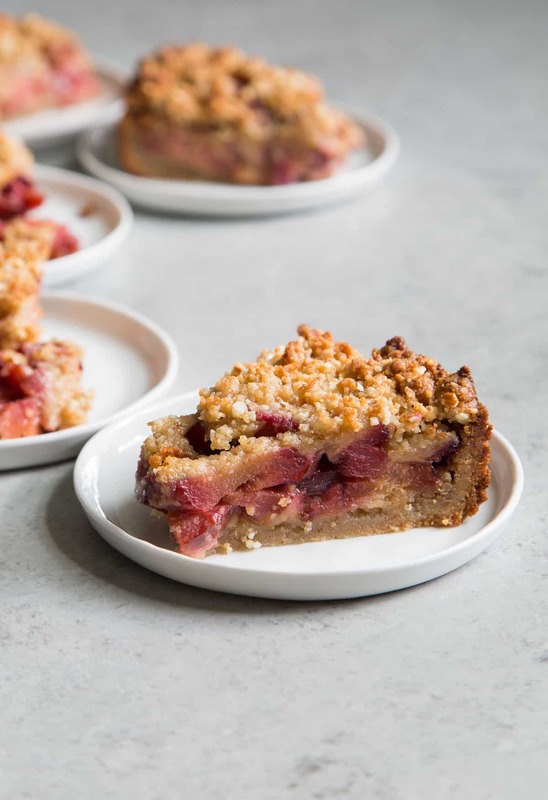 This almond plum cake topped with almond crumble is a sweet and satisfying welcome to autumn baking. It’s difficult to claim a favorite dessert recipe. However, if I was forced to choose a top three, this almond plum cake would definitely be on the list. The combination of flavors in this cake is one that I can’t tire of. One slice of cake is never enough. I often have to stop myself from cutting a third, fourth, or fifth sliver. I’m not really sure whether to call this a cake or a tart. While it looks like a coffee cake, hidden underneath is a cookie crust like bottom. This dessert starts off with a par-baked almond shortbread-like crust. It’s rich, dense, and delicious. 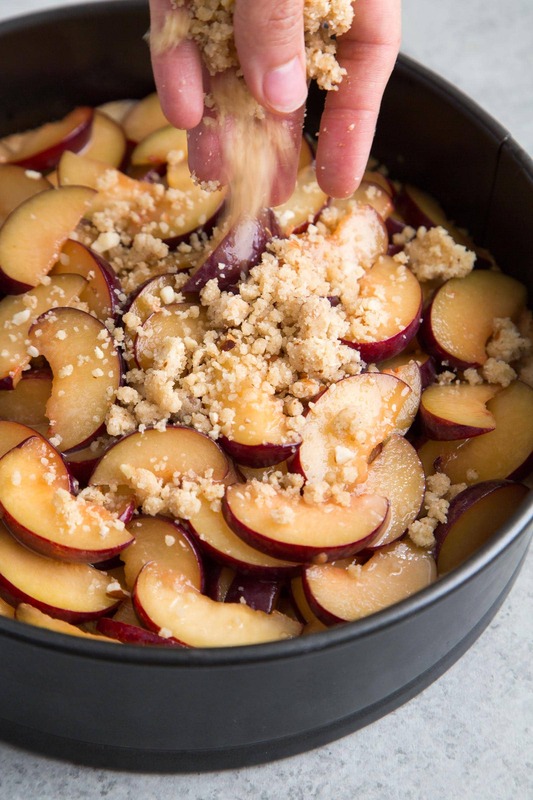 Fresh plums are tossed with a little sugar and cornstarch to make the filling. 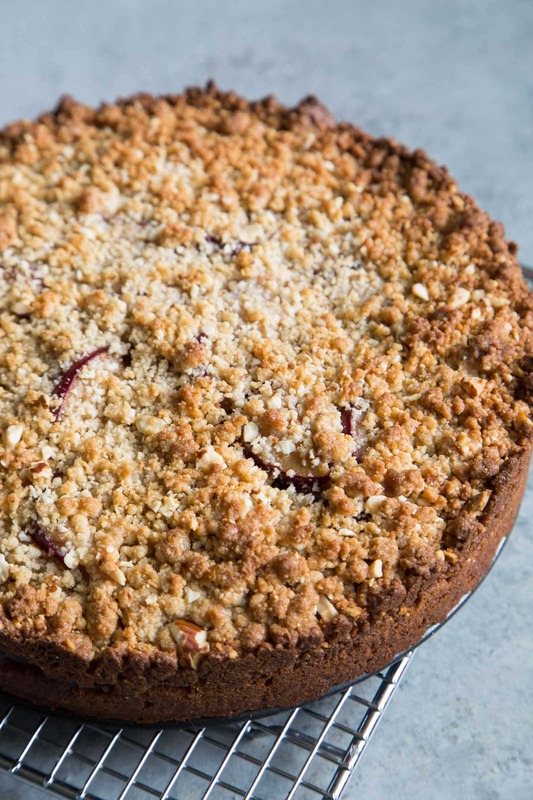 And the final piece to this puzzle, is this insanely flavorful crumble made from almond paste, roughly chopped almonds, and ground almonds. Yes. 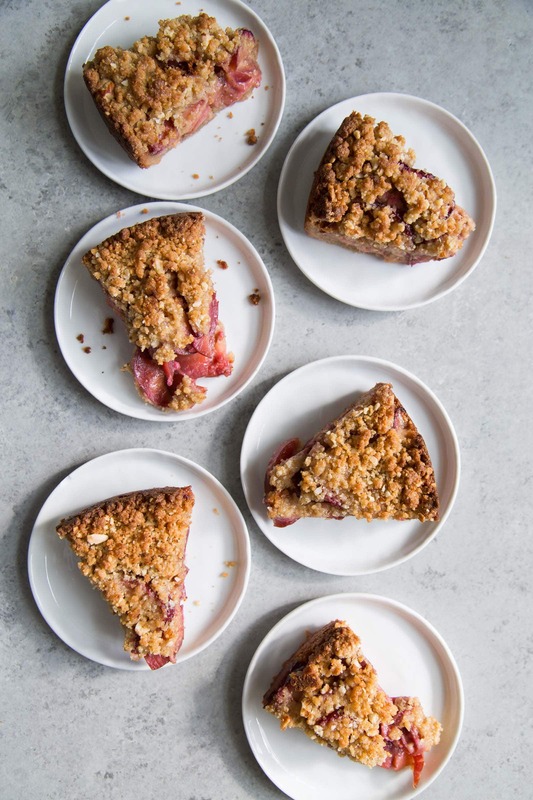 This almond plum cake is packed with almonds. The end of summer and start of autumn is always bittersweet. While I love the all spices and warm flavors that come with autumn, it’s difficult to say farewell to stone fruits. Before we dive into pumpkins, apples, and all things cinnamon, let’s give plums the grand finale it deserves. Combine flour, almonds, sugar, and salt in a food processor. Pulse until almonds are ground. Transfer to a large mixing bowl. Using a pastry blender or fork, cut the butter into the flour until mixture resembles coarse sand. Add milk and yolk. Fold to combine until dough comes together. Place dough into into a 9-inch round springform pan. Press dough into the bottom of the pan and about 1/2-inch up the sides. Cover with plastic wrap and let chill in the freezer for 20 minutes until cold. Alternatively, chill in the fridge for 1 hour up to 24 hours. Preheat oven to 375 degrees F. Use a fork to dock the crust all over. Bake for 20-25 minutes until crust is golden. If crust bubbles during baking, simply press down with the flat bottom of a drinking glass. Remove from oven and allow crust to cool on wire rack while you prepare crumble and filling. Place flour, almond paste, brown sugar, and half of chopped almonds in food processor. Pulse until mixture is thoroughly combined. Transfer to a bowl. Using a fork (or your fingers), cut butter into the mixture until coarse crumbs form. Fold in chopped almonds. Toss together plums, sugar, cornstarch, and salt. Sprinkle about 1/2 cup of crumble over cooled crust. Arrange plum filling on top. 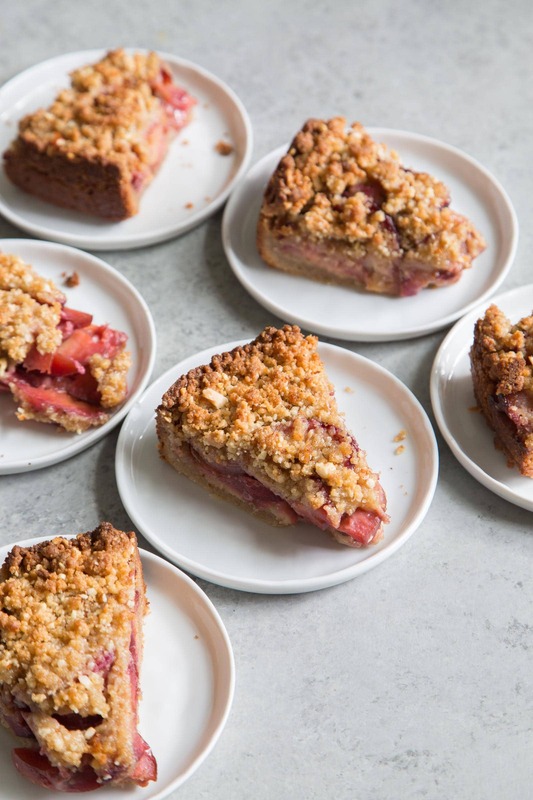 Distribute remaining crumble over plums. Place springform pan on top of a baking sheet. Filling may slightly leak. Bake for 40-45 minutes until the crumble is golden brown. Allow cake to cool in pan for 15 minutes before unmolding. Release from springform pan and allow to cool on wire rack. Allow cake to cool for at least 20 minutes before slicing into. Enjoy cake warm or at room temperature. *Almond paste is different from marzipan. I use this almond paste by Odense. It is available at major supermarkets in the baking aisle. Due to the fruit filling, this cake is best served and enjoyed the day it is made. Over time, the fruit filling will expel moisture and soften the shortbread crust. Store any leftovers in an airtight container in the fridge. Gently reheat in a toaster oven or for a few seconds in the microwave. Leftover cake also taste great cold. 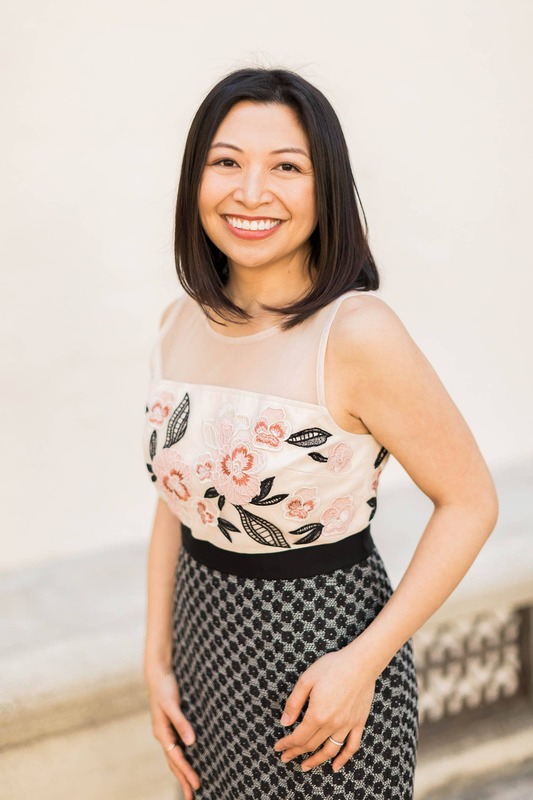 Still loving the new blog design when I stop by:) Makes me feel classy and elegant even though I haven’t changed out of my yoga class clothes yet and desperately need a shower. Anyways – this cake has everything I love flavor wise. I wonder how I have never come across almonds and plums in the same dessert, so genuinely feeling serendipity. I can handle this recipe, crumbles are supposed to be messy looking:) So comforting too.